This insanely expensive "Majestic" black and silver ornament is by Patricia Breen. Kate Spade's "Deck the Halls" ornament is a bit Burtonesque. I like these black tassel ornaments because they are an unusual shape. 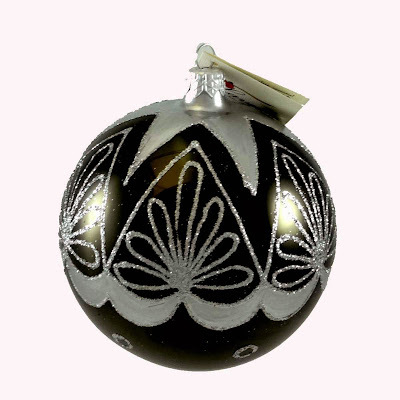 This black and silver ornament is by the Italian company Laved.